Pelvic ultrasound imaging is used to diagnose a wide variety of conditions, including those affecting the bladder, prostate, kidneys, ovaries and uterus to name just a few. There are several different kinds of pelvis ultrasound machines, and UsedUltrasound.com carries a full line of models. There are basically three types of pelvic ultrasound exams: abdominal, vaginal (either transvaginal or endovaginal) and rectal. Depending on the patient and the conditions being examined, a doctor will determine which pelvis ultrasound procedure is the best course of action. Of course pelvic ultrasound imaging machines are used to detect a variety of reproductive issues, but they can also be used to find kidney stones, bladder disorders and tumors in the pelvic and abdominal areas. 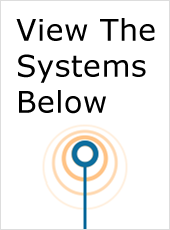 One of the top selling pelvic ultrasound systems is the HP Sonos 5500. All of the pelvis ultrasound machines sold by UsedUltrasound.com are professionally and thoroughly reconditioned and then tested and inspected to make sure they are in perfect working order. With our 100% guarantee, you can be confident that you are getting a top quality ultrasound machine at the lowest price available. 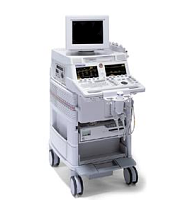 The best way to buy a used ultrasound machine is to compare all the top models for the particular applications you need and the find the lowest possible price. At UsedUltrasound.com, you can do just that by browsing through the huge inventory of pre-owned ultrasound machines at some of the best prices anywhere. If you check the prices for new ultrasound probes and transducers, you might be shocked at how much it costs to add the accessories you need for your ultrasound system. So it makes good financial sense to buy used ultrasound probes and transducers from UsedUltrasound.com, where you will find the biggest selection and the lowest prices.